What is WHEAT’s Clothes Silo? In 1985, WHEAT founded its Clothes Silo, a major program serving a vital need in our community by providing that “something extra” for women who are looking to be gainfully employed. The services provided by WHEAT’s Clothes Silo help economically disadvantaged women acquire jobs, succeed in the workplace, build careers and achieve the ultimate goal of an improved quality of life for their children and families. Our programs, services and dedicated volunteers and staff provide job-appropriate attire, mentoring and management training empowering the women toward economic self-sufficiency. 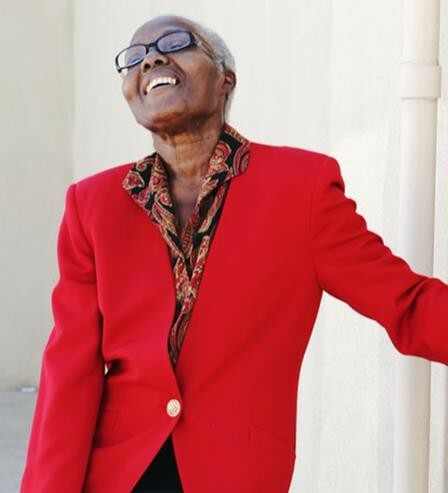 WHEAT’s Clothes Silo serves over 7,000 women in Arizona, annually, with a free, professional outfit. These women are referred from 123 statewide social service and job-readiness training agencies. WHEAT is a 501(c)(3) non-profit organization and all donations are fully tax-deductible as allowed by Arizona state law and the Internal Revenue Service. Appropriate attire is essential for succeeding in an interview and acquiring a job, but most economically disadvantaged women can’t afford appropriate clothing; without the clothes, they can’t get a decent job. WHEAT’s Clothes Silo solves this problem by providing a personal shopper to each client in our boutique, filled with women’s apparel. Each client is welcomed to WHEAT’s Clothes Silo by our cadre of volunteers as she prepares for a job interview that can change the course of her life. 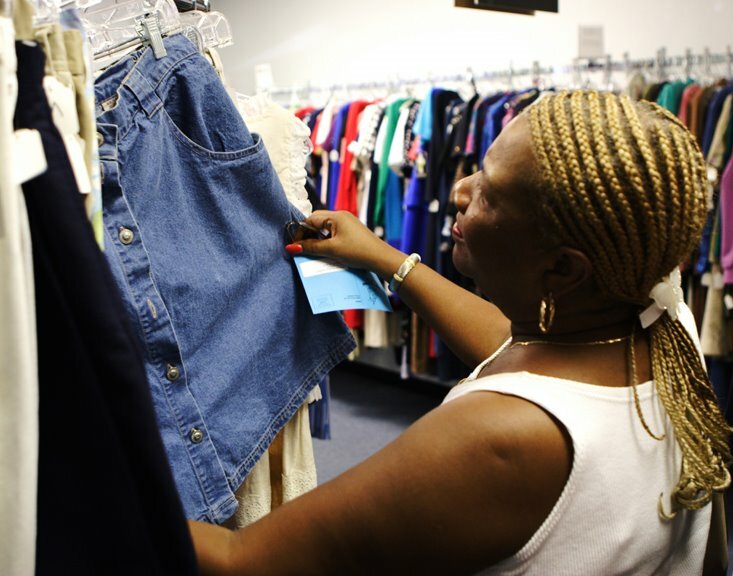 Our volunteers and staff gently guide the client through the clothing selection process, making recommendations and nurturing her self-esteem. Clients are given one complete outfit of business attire for the job interview or their first day on the job. Many women walk out the door of WHEAT’s Clothes Silo on a cloud – amazed and overjoyed at their own reflection in the mirror. SHOP: WHEAT’s Clothes Silo is OPEN TO THE PUBLIC to buy quality new and used clothing; your purchases support our Client Assistance Program. Come by and buy…you’ll find great bargains and help other women, too! EACH PIECE in the store is JUST $6 or less, except our WHEAT Boutique. 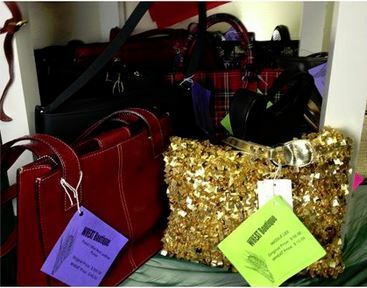 WHEAT Boutique items, including designer handbags, are brand new, with tags on, designer clothing marked at 20% or less of the original price. Our shoes and other accessories are marked from $1 up. Your purchase helps us help women become self-sustaining. Since 1985, the Silo has provided professional clothing at no cost to women entering or re-entering the workforce through its client assistance program. Thousands of women are served each year through partnerships faith communities, educational, social service and nonprofit agencies, receiving complete outfits including shoes and accessories. When you shop at the Clothes Silo you get more than unbeatable prices, high-quality clothing and great service — you get the great feeling that comes from helping others in need. Visit our very special boutique and you’ll see why women make this their GO-TO place to SHOP! DONATE: Do you have a closet full of clothing that you would love to see go to a worthwhile cause…you’ve found it. WHEAT’s Clothes Silo accepts donations anytime we are open. As a nonprofit organization, you’ll get a tax receipt from us, too. Donations of new and gently used women’s clothing and accessories are always welcome. HOLD A CLOTHING & ACCESSORY DRIVE: It’s Easy. Click here to find out how! VOLUNTEER: Help us with outfitting clients, working with customers, accepting and processing donations, designing displays and more fun ‘stuff.’ Check out the opportunities by clicking here.